Every family needs to run away from home every once in a while. 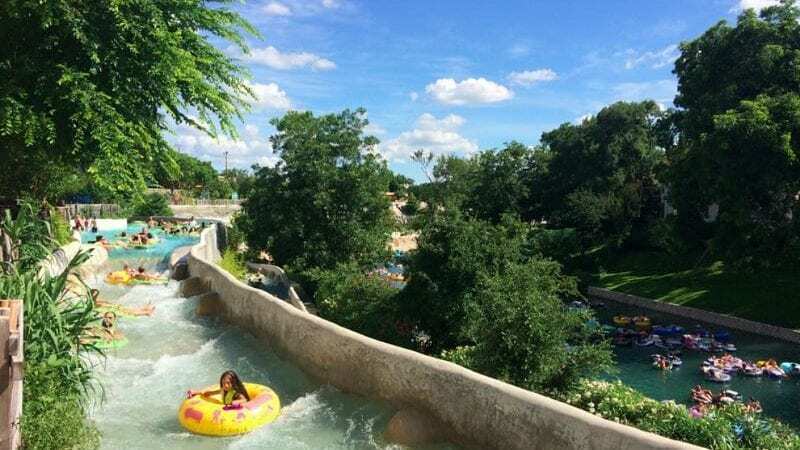 Whether your crew prefers leisure, adventure, or a bit of both, there is no shortage of options for summer fun in Central Texas. 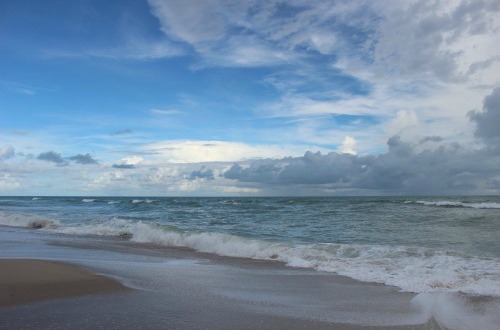 Haycation, staycation, or playcation – it’s up to you. Hop in the car and go have some fun together! Here are some of my family’s favorite Central Texas vacation destinations, all located within three hours of each other. Make plans to visit one, or all four. If you are serious about getting away from it all, pack up the kids and head to the country. BlissWood Bed and Breakfast is an aptly named slice of heaven, situated on the beautiful 650-acre Lehmann Legacy Ranch, an hour west of Houston, or two hours east of Austin. Experience life on a working ranch, waking to the rooster’s crow and heading out bright and early to help feed the animals. Horses, miniature donkeys, deer, cows, hens, and peacocks all call the ranch home. . If your little ones are like my city kids, they will go crazy for the critters. There are geese, ducks, a goat, and emus congregate near the pond, and a resident kangaroo and llamas at the barn. If you’re lucky, there may even be a new litter of foster puppies to play with. And, you’ll never run out of wildlife to enjoy. Go bird watching or try to catch some tiny toads. More structured interaction with the animals is also an option. 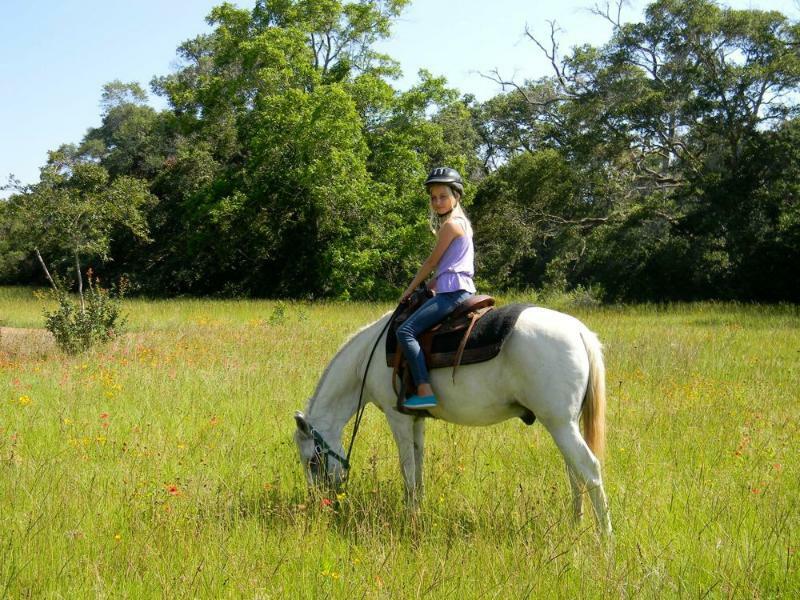 Horseback riding lessons, trail rides, and catch and release bass fishing are all available to ranch guests. Other onsite activities include archery, trapshooting, bike riding, and hiking. BlissWood offers a variety of secluded houses and cabins, each allowing you to live, however briefly, in your very own home on the range. My favorite, a 19th century style cedar log cabin, made me feel as if I had stepped into the pages of The Little House on the Prairie. Beautifully decorated with antique furniture, quilts, braided rugs and period knick-knacks, the cabin is so cozy, you may want to move in for good. Just know that if you decide to stay, the ranch owner, Carol, will surely put you to work. 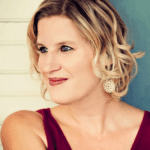 The idea of relaxing while on vacation with children may seem far-fetched. Yet, The Woodlands Resort & Conference Center makes it possible, by taking the burden of entertaining little ones off your hands. From early morning clowns, to afternoon DJs and nighttime dive-in movies, the resort’s Forest Oasis Waterscape is always hopping with kid-centric recreation. My children couldn’t get enough of the dance competitions, karaoke, hula hooping challenges, and endless games (with prizes!). Relieved of duty as the Captain of Fun, you can pull up a lounge chair, order a smoothie, and cheer for your child in the limbo contest. Surrounded by towering pine, oak, and palm trees in the heart of The Woodlands Resort, Forest Oasis is an impressive water park, without being overwhelming in size. Live music lends to the party atmosphere and misting fans keep you comfortable as the kids play for hours on end. 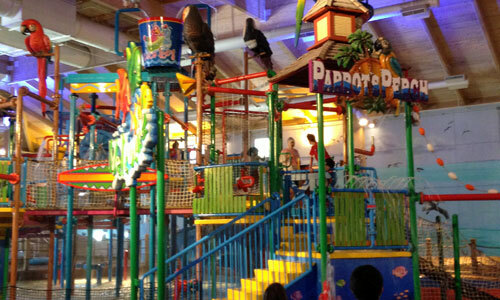 When not dancing “The Wobble” or the “Cha Cha Slide”, young guests can explore waterfalls, two-story twisting water slides, and underwater music and murals. A splash pad, multiple pools, and a variety of watersports will keep kids busy in the pools, while Ping-Pong, tetherball and oversized mattress swings offer amusement on land. When the kids start to fade, sugar them up with complimentary s’mores and head out to explore the town. 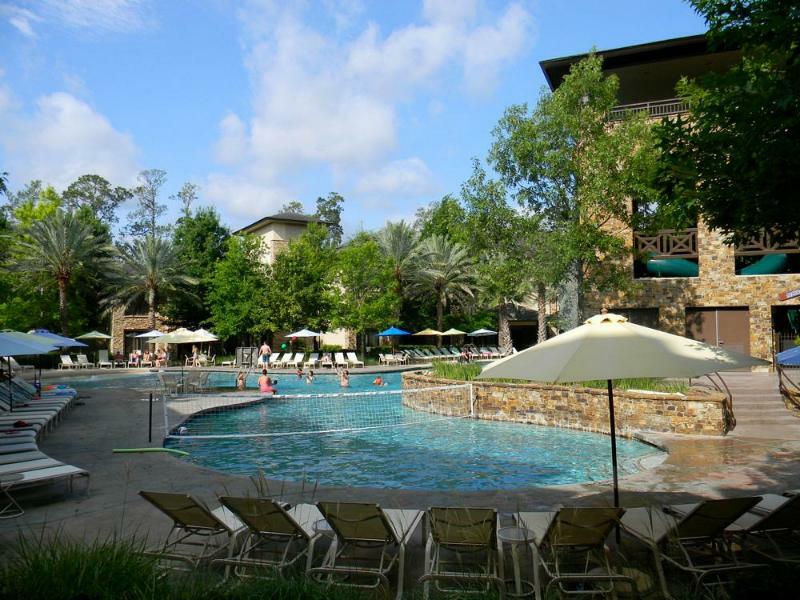 The Woodlands Town Center is just minutes from the resort. Hop aboard a free trolley or discover the area by boat on a Waterway Cruiser. Five dollars will get you an all day pass for the Cruisers (kids and seniors pay half-price). Coast along The Woodlands Waterway until a park or koi garden catches your eye. Disembark at Waterway Square to take in a fountain show and let the kids get wet (again) on the splash pad. Stop by on a summer weekend evening and you can also enjoy free concerts, clowns, treats, and games. From the resort to the town, The Woodlands has family entertainment galore. With a world-renowned 70-acre waterpark in Central Texans’ own backyard, Schlitterbahn is the obvious choice for a play-packed getaway. 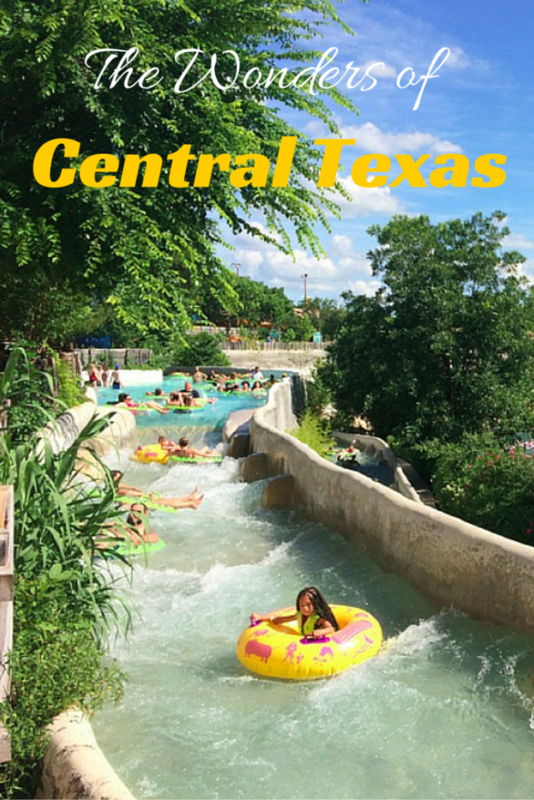 Nestled in the banks of the picturesque spring-fed Comal River, this award-winning park offers more all ages water entertainment than you could possibly conquer in one day. So why try? Schlitterbahn offers accommodations both on and adjacent to park grounds. I recommend the Treehaus Luxury Suites, which boast as many as three bedrooms and two baths, with room for you and up to eleven of your friends. Kids will love hanging out in the huge man-made trees that overlook the waterpark, while parents will swoon at the interior of the swanky digs. But wait! Before you retire for the night, you have to wear the kids out with Schlitterbahn’s 40-plus rides, spread across two parks: The Original Schlitterbahn and East Schlitterbahn. Choose from two uphill water coasters, nine tube chutes, 17 water slides, the Boogie Bahn body-boarding ride, a family wave pool, five heated pools, seven children’s water playgrounds, and more. As an added bonus of staying onsite, you can enjoy extended access to some of your favorite rides. Run away from urban life, without having to run very far. Hyatt Lost Pines–405 glorious acres of natural Texas beauty–is tucked away off the highway, mere minutes from Austin-Bergstrom International Airport. Bursts of colorful wildflowers cheerfully line the descent from the resort’s main gate, crisscrossing you through the woods until you feel miles from civilization. Perched above the Colorado River–a seamless blend of gardens and rugged, native landscape–Hyatt Lost Pines is a delightful mix of the rustic and the luxurious. While parents will undoubtedly be tempted to sneak off to Spa Django or a 10am tee time, kids will be raring to try the endless activities the resort has to offer. 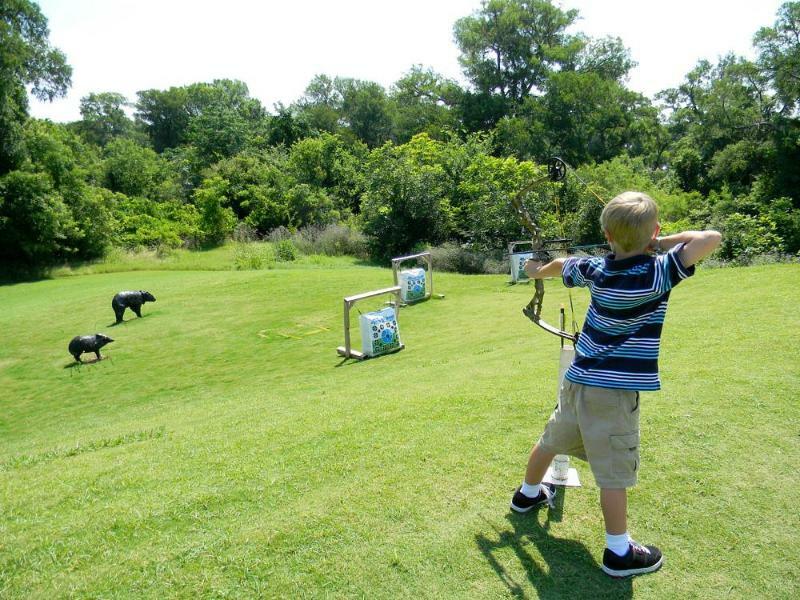 So, gear up for some archery, trap shooting, bass fishing, and horseback riding. Then, head over to the neighboring 1,100-acre McKinney Roughs Nature Park to kayak the Colorado, climb the rock wall, give the zip-line a whirl, and have a water fight aboard the Splash Raft. Between outdoor adventures, relax on the sandy beach at Crooked River Water Park, try the water slide, and float along the scenic 1,000-foot lazy river. My kids had a blast cruising the resort grounds on loaner bicycles, roasting s’mores, and staying up late watching movies on the lawn. A weekly activity guide offers so many entertainment options–from horse-drawn wagon rides and hayrides to teen laser tag and glow in the dark tennis–you’ll be hard pressed to fit it all in.